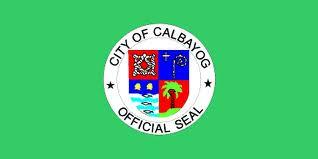 CALBAYOG CITY — Mayor Ronaldo Aquino said the city is expecting more investors to come in, noting shopping malls are soon to rise in the city. “The opening of these shopping malls will also offer employment generation among our people considering that we have an ordinance mandating that 80 percent of their workforce should be from Calbayog,” Aquino said. “Our collection on taxes will increase and the (collection of our) real property taxes will escalate as well,” he added. Christ the King College. The other Gaisano mall acquired the same lot size owned by the City Government. The mayor said another investor engaged in warehousing business is also set to open in Calbayog. He said the company once had a branch in the city but it stopped operations. Is our small city on the verge of becoming a big city? A big city I hope not, but I could handle a small medium city with a decent supermarket. Besides after you read the article “Deserted Destinations” do you still think the same thing? Sure doesn’t bode well for tourism or those new businesses either I think.